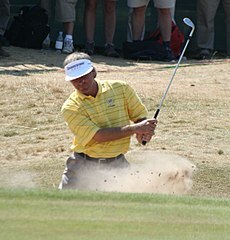 Frederick Steven Couples (born October 3, 1959) is an American professional golfer who has competed on the PGA Tour and the PGA Tour Champions. A former World No. 1, he has won 64 professional tournaments, most notably the 1992 Masters Tournament and the 1984 and 1996 Players Championship.